Govt. 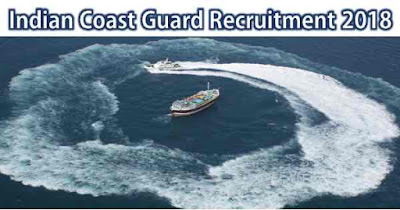 Jobs: Coast Guard Mumbai Recruitment 2018 Vacancy For Store Keeper Posts. Coast Guard Mumbai Recruitment 2018 Vacancy For Store Keeper Posts. Job details: Kochi, Daman, Goa & Mumbai..
Post Name: Store Keeper Posts. Last Date for Submission of Application: 15th September 2018. Government Jobs offer an opportunity to turn your aspirations into reality. If you aspire to work in the mainstream and be a part of the nation’s economic development, a job in the Government Sector may be the best option for you. Every year a number of job opportunities become available in the Government Sector. Lakhs of vacancies are expected to be created this year also, encompassing important sectors like Banking, Railways, Insurance, Civil Services, Medical, Media and many more. Educational qualifications for these jobs vary from Intermediate to Post Graduate. Please download the notification it its mentioned there.